Autism affects more than 1 in every 100 people in the UK. But many are still undiagnosed or diagnosed much later in life. This deprives them of the professional support in health, housing, finances and education that they require. A delay in diagnosis has also been proven to risk causing serious mental health problems. South West London and St George’s Mental Health Trust and Merton CCG are proposing to change their diagnosis of autism to no longer accept referrals for assessment unless the person has an additional mental health condition requiring treatment. This is both shocking and, quite simply, unfair. If this proposal goes ahead, it will leave a huge number of our constituents living with undiagnosed autism and unable to secure the support that they need. 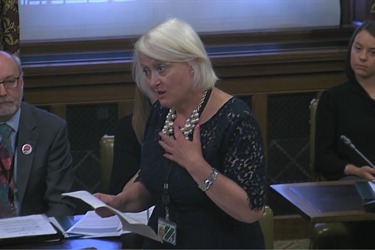 There is an upcoming meeting on this issue on the 21st September and Siobhain believes that there should be a full consultation involving parents and families, but, ultimately, that every single autistic person not yet diagnosed should receive the diagnosis that they need.